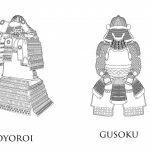 Feature Articles > 【Series of Budo Essay vol.12】 What is Souke ? 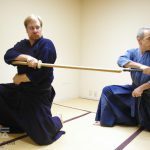 【Series of Budo Essay vol.12】 What is Souke ? For long time I believed this might be a silly question to Japanese because if one is Japanese he/she should know the answer. In Japan since the old days, say for 5,6 hundreds years ago, an art, means any kind of arts, has been developed and transferred to the next generation within a family. Always a successor, a representative of the art i.e. the family was chosen among the family members and was called Soke, namely representative head of the family, and he (most of the case a man should be selected) is responsible to maintain the skill which was established by the founder and to raise his successor so that the skills should be properly transferred to the next generation. In the world of Bujutsu, it is the same. 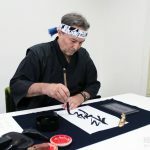 For all the styles, called Ryuha, their characteristic important techniques and knowledge were strictly transferred from father to son and were kept confidential to out of the family members. After the world war second, many of such Ryuha had disappeared because of their Soke or many of the family members were killed in the battle field and/or they could not get students because Bujutsu had lost its popularity. In 1960s when Japan had started succeeding in economy, Bujutsu/Budo also started regaining its popularity and many people started learning Kendo, Judo, Karate, Aikido etc. As the numbers who are involved in Bujutsu activity grows, a new style has been created one after another. The most famous one among those newly created style is (Japanese) Shorinji Kempo. Then for many of the cases the founder of those newly created styles named themselves as Soke. If the control is strictly done by the family members, the naming is quite all right. But many of those cases, the founder has appointed their successor no matter he is the family member or not. In such case we should never call the head of the style as Soke. They should be called as Soshi, Souhan, Shuhan (grand masters) etc. 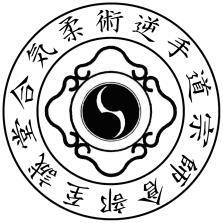 Not knowing what Soke means, those founders called themselves as Soke, which shows their lack of understanding of basic concept of Soke lore. For my big regret, this mistake had been copied by the people out of Japan who started their own styles. How is the case out of Japan ? People in Europe and U.S.A. has been making wrong copies of those mistakes repeatedly done in Japan for the past 50 years. When they learn Japanese Bujutsu, especially Jujutsu, Karate which have no unified authority as Judo and Aikido, they are so easily start their “own style” no matter how low level they are. They paid big money to learn the skills and watched how their Soke can gather big money rather easily and they are smart enough to copy their Soke do. 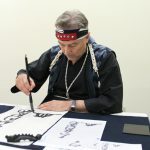 Of course I cannot deny that there could be a real master out of Japan who created his original style with certain own characteristic techniques. But those are exceptional cases, I dare say. There are enough reasons why we Japanese have been keeping this Soke lore system. For various kinds of arts, it is the most efficient and sure way if the most important skills are kept in a close family members to keep its purity and to transfer it properly to the next generations. Other person out of the family might so easily change i.e. worsen the techniques, although they might convince they improved, or teach the techniques by bargain fee, or misuse the knowledge such as to use criminal purpose etc. In this point of view, Judo did not establish Soke lore system and that is the reason Judo could become such a worldwide well known Budo as played in Olympic games. 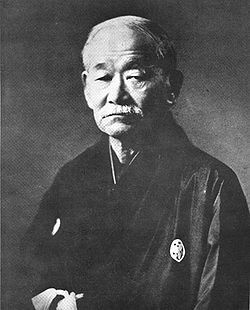 But on the other hand it has been changed to a rather competing supports by losing important original Budo spirits which the founder prof. Jigoro KANO aimed. The biggest disadvantage of Soke lore system is not always they can get a genuine among their family members who are capable enough to succeed the arts. Or I can even say that many cases the successor who are chosen among their family members are not capable enough. In late 16th century there was a quite famous artist named master Koetsu HONAMI in Japan. He was a potter whose works are recognised as national treasury in Japan and their value could not be estimated. 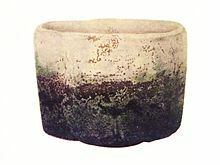 He started artificial pottery as his family work and made a unique rule that the successor should be always appointed to the best skilled person (man) among the students and he should marry one of their family members. 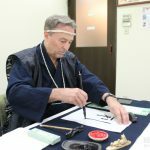 Master Koetsu HONAMI must be the first person who seriously worried about the disadvantage of traditional Soke lore system and he tried to solve this problem by statistics. The chance to get a genuine among family members is far much lower than to get the one among students, so he adopted this additional rule to Soke lore system. His family still exist in Japan with keeping this rule, adoptive succession, and some of them are famous not only pottery bust also in the field of the other arts. In case the organization is small, this could not be a big problem. Because he does not need to control many students, then the chance is low that a genuine could appear among the students and might cause a big problem to Soke’s control. If the organization becomes big, then real serious problem starts occurring. In a big organization the family became rich enough and its family members can not be so serious to master its arts by paying a huge effort and lots of time from their childhood but tend to enjoy nice comfortable and easy life, accordingly the chance their family members can become genuine artist becomes much lower. On the contrary the chance that a genuine can appear among their students becomes much higher so not only one but more genuine are raised among the students who are much superior to their Soke and everybody in the school can see it. In such case Soke is gradually losing his students’ trust and many of them leave from the style (school). So far as a big organization sticks keeping the traditional Soke lore system, sooner or later they will fall down to destruction. There is still one case that they can avoid such destruction. In case the organization grows to a huge size very quickly, then there is a big chance they can survive even in the case their Soke, chosen from the family members, is not quite capable enough. In such huge sized organization, there are always enough space for the genuine students. Some may leave but many of them still may stay in the organization because they can be a one of the head of branch organization with hundreds of own students. And those genuine members will support their Soke to supple his incapability as their duty. The turning point, I estimate, might be if the number of the student members exceeds 5,000. But as my personal opinion, I still do not admit it is not respectable way to have incapable person as Soke. They should separate their operation into two parts as schooling and administration, and the head of schooling activity should be chosen from among all the members of the system (school) based on the capability. They can appoint the head of administration only from family members. 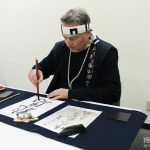 This can be the best and ideal way to keep Soke lore system, and I see there is one such Budo organization in Japan which has a huge numbers of members. I am sure their organization will be successfully continued for another hundred years. Born in 1950. When he was in his 30s, he began learning Gyakute-do Jujutsu, which was derived from Hakkoryu Jujutsu in the 1970s. 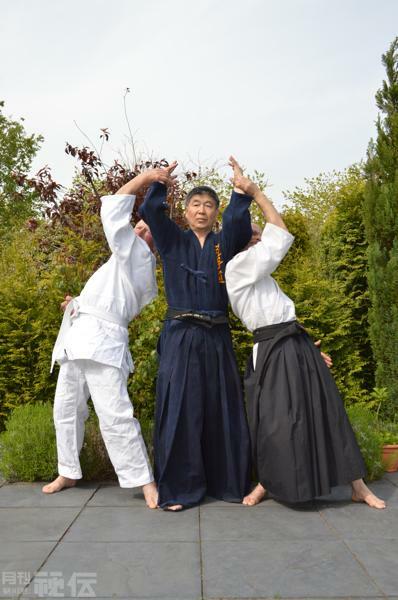 Just before reaching the age of 40, he moved from Japan to The Netherlands and continued to master and develop Gyakute-do. 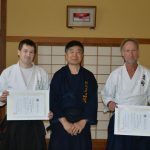 In October of 2013, after adding the system of Aiki-Jutsu that he developed himself, he transformed Gyakute-do into Aiki-Jujutsu Gyakute-do, and became 2nd Soushi, grand master, of Gyakute-do. 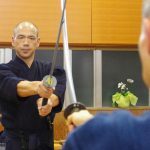 After retirement, he left The Netherlands and began promoting Aiki-Jujutsu Gyakute-do both in Japan and in Poland as his main pursuit. He is also teaching his Gyakute-do to Budo fan in the world via corresponding course.